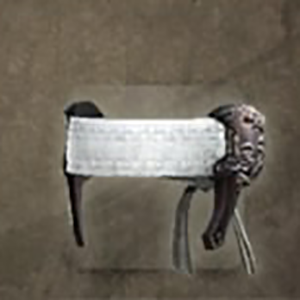 Kojuro's Armour: Hachimaki is a Head Armor in Nioh. "A headband worn by Katakura Shigenaga, a senior vassal of Date, who favoured light headgear over a heavy helmet, because he felt the latter restricted his field of vision. However, the headband does contain small iron plate located over the forehead, providing at least some level of protection. Part of a traditional armour set known as Tosei-gusoku in Japanese, the hot-blooded Shigenaga inherited the Yukinoshita black-lacquered armour from his father, Katakura Kojuro, who was a loyal servant of Date Masamune. Shortly after Shigenaga's coming-of-age ceremony, the Battle of Sekigahara broke out, and while Uesugi Kagekatsu was taking up arms in Aizu (present day western Fukushima prefecture), Shigenaga found himself joining his first campaign as part of the efforts to capture the Uesugi's Shiroishi Castle (souther Miyagi prefecture)."